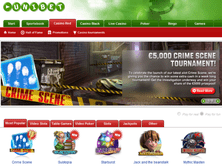 Unibet Casino is part of the famous Unibet gaming network. The casino's reliance on high-quality software providers (NetEnt, Microgaming and Quickfire) must play a big role in how it's perceived by players. 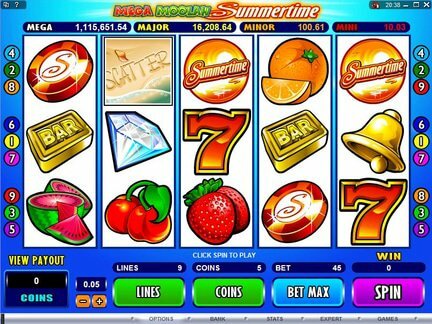 The website also has a lot more features than other casinos, which certainly helps to draw players to the place. At the same time, the main page does not overwhelm the user with too many flashy banners. Casino tournaments are a regular occurrence. The list of winners illustrates that countless users have benefited from these events. There is even a window which shows the players who are picking up prizes at the moment. The special offers section showcases a wide variety of deals. Some of them are connected to other sections of the gaming network. This would be the case with the sports offers. The welcome bonus is the first offer that is worth examining. It is a 100% deposit bonus up to €100. The Welcome Bonus is available to new customers only and is subject to wagering requirements before a cashout can be requested. Players must be older than 18 years to register an account and play at Unibet Casino. Terms and Conditions apply. At this point in time, the Unibet Casino bonus deal section also features a 50 free spin deal, which is associated with the Fiesta Roulette game. Furthermore, the Roulette players can count on cash prizes as part of the four weekly tournaments with guaranteed €5,000 in cash (the total being €20,000). One game is usually shown as part of the next promotion, mainly the game of the week. Free spins are provided as part of the weekly offer. Random prize drops can likewise be expected, especially on Tuesdays. This is when the players can win a share of €1,000. The secure payment methods are all displayed at the bottom of the page. The list would include; Maestro, Bank Transfer, MasterCard, Skrill, Neteller, PaySafeCard, Visa, Visa Electron, and a few others. The full list of countries with access restrictions is provided in the terms & conditions section. Here are some of the countries on the list; Australia, Denmark, Estonia, France, Italy, Spain, Turkey, United States of America and Portugal. Canadian players are not excluded. There is also extensive language support for players residing in Nordic countries, Central Europe, Southern Europe, Baltics, Eastern Europe and Oceania. Since the casino is licensed in Malta, the European connection is particularly strong. The top 20 „picks" show the type of games that have received the most attention. The list would include; Rainbow Riches Pick n Mix, Cloud Quest, Witch Pickings, Golden Fish Tank, Legends of Africa, Genie's Touch, Dragon Born, 3 Elements, Guns N' Roses, Super Flip, Mega Fortune Dreams, Epic Monopoly II, Double Play Superbet, Holmes and the Stolen Stones. Starburst, Trollhunters, Gonzo's Quest, Live Roulette Grande, Blackjack Multihand and European Roulette. Some of the games made into the „overall favourites" category. The games like Starburst often end up among the player's favourites in the slots category. The game resembles the arcade games from the eighties. It's a very colourful game. The graphics are quite amazing! The rest of the games on the site would fall under these categories; Roulette, Blackjack, Video Poker, Table Games & Cards. Unibet Casino is seen as a quality casino. However, the venue has been the subject of criticism. Lately, the free spins offer has come under fire. Some players couldn't take advantage of the advertised offer. There is also the issue of verification. The procedure has been criticized. At the same, the payment withdrawal process has actually been praised by the visitors. It appears that the casino staff wants to resolve the complaints. Local customer support service is available for players from certain locations. Live chat and e-mail support are also provided on the website. Uni Bet casino was started in 1997. The website is operated by Unibet International Ltd. It is licensed by the Malta Gaming Authority. That jurisdiction is highly respected. In fact, it is on the „white list" of the UK Gaming Commission. This is a nice endorsement. The approved casinos need to meet certain conditions for operations, even after the license has been granted. I always love to see an online casino with mobile support. The inclusion of this option means that I can try out the games on my Android phone. I thought that the top 20 picks were particularly interesting to play. In my opinion, the select deals from the promo section were very nice too! I am looking forward to playing on this site in the future. I hope that the casino will continue to address the problems that have been raised by players.